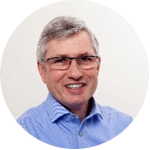 Brendan has over 25 years of experience in the customer service industry, in both business and technical roles. This broad experience has allowed him to see first-hand the importance for both customers and organizations of delivering consistent omnichannel customer experiences. Brendan has both graduate and post graduate qualifications in Business Management from Bristol Business School. He has been with Genesys since 2007, before which he worked in the energy and telecommunications sectors.